When you purchase travel services, whether in person or online you are subject to the Terms and Conditions of the travel services purchased. If you review your confirmation details and realize there is an error immediately after making the booking or before the departure date, there is still a chance to correct the error and salvage your vacation. For travel protection consider some of these travel tips when booking and purchasing travel services online. The total cost as well as the spelling of each person’s name you have entered to receive the travel services. Booking errors can easily occur if you are not careful and can result in mistakes such as booking Sydney, Nova Scotia instead of Sydney, Australia. It is imperative that you ensure that all the information is correct before you move on to the next step. Before you confirm your travel services online, make sure you read and understand the Terms and Conditions of the travel services being purchased. Usually travel websites will not allow you to continue with the booking process until you acknowledge reading this section and indicate your acceptance of the terms and conditions as outlined. Unfortunately, this tends to be the part of the booking process that most people quickly click through and accept without taking the time to fully understand what they are agreeing to. Make sure that you review this information, particularly those that relate to cancellation, changes to bookings and refundability. The final step includes entering your payment information to confirm and purchase the travel services. But before you do, use this last opportunity to review all the information to ensure all the travel services you have selected and the information you have provided is correct. Oops I Made A Mistake! Now What Do I Do? Once you receive your travel confirmation and you realize there is a mistake contact the airline or travel agency involved in booking your travel plans. Contacting the airline or online travel agency prior to your departure date will allow them to assist you with rebooking your travel plans. It is possible that there will be a cost to correct the error such as charging you for any difference in the cost of the airfare if the flight fares or vacation packages were higher than those originally booked and possibly a rebooking or service fee to make the booking changes for you. 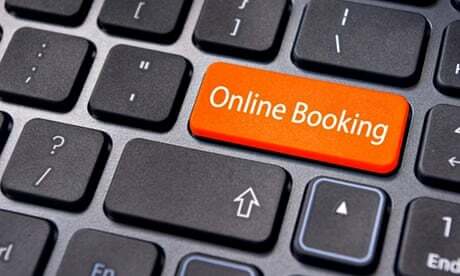 Remember you are subject to the terms and conditions you agreed to during the online booking process. If you do not review your travel confirmation and miss the departure date you will be considered a “no show” based on the terms and conditions of the flight or travel package you have purchased. Unfortunately this will result in up to 100% of the travel services purchased being non-refundable. Want To Learn More About Travel Protection & Travel Tips? No matter how good your travel package looks, make sure your vacation goes according to plan. Book with a TICO registered travel agency. Search for a TICO registered travel agency now.